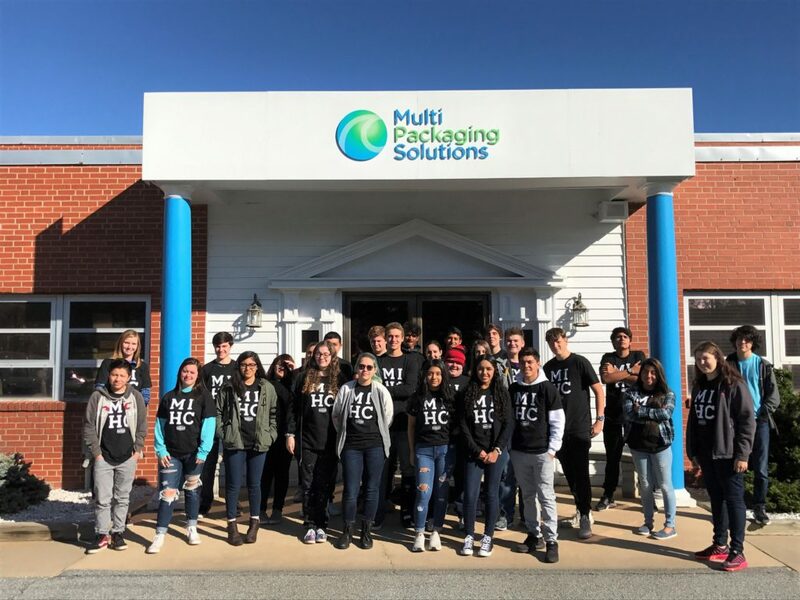 Henderson County, NC: Over 230 high school students from Henderson County Public Schools will tour eight different manufacturing operations today as part of the Made in Henderson program. Students participating in the tours will learn more about the availability of advanced manufacturing careers in Henderson County. Participating companies will showcase the multiple career entry points available in manufacturing and the products that are made here. Tours expose students to what manufacturing operations look like today: clean and high-tech. Event marketing, including student t-shirts, and tour logistics were made possible thanks to grant funding through The Community Foundation of Henderson County, Meritor, Hannah Flanagan’s & Horizon Heating & Air Conditioning Charitable Giving Grant and a grant from the NC Department of Public Instruction awarded to Henderson County Public Schools to support the Mechatronics Career Pathway. Participating industries include: Current by GE, Elkamet, GF Linamar, Lassonde Pappas, SMARTRAC Technology Group Fletcher, Multi Packaging Solutions, RAUMEDIC and Continental Automotive Systems. Made in Henderson County is a coordinated effort established to enhance the connection between manufacturing businesses and the Henderson County Public Schools, while telling the story of manufacturing, the products that are made here and the people who make them. The initiative is focused on raising the visibility of manufacturing as a viable career path to ensure that Henderson County students have diverse employment opportunities in the community, and manufacturing businesses have access to skilled local talent. Visit www.madeinhendersoncunty.com for more information.